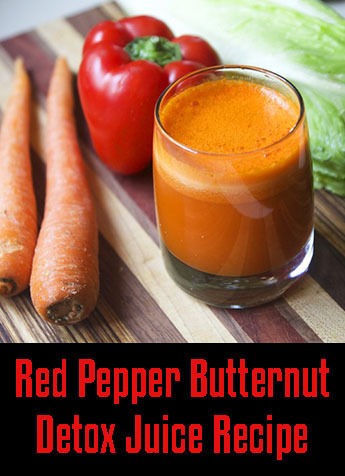 Give your body a healthy boost of antioxidants by making the simple red pepper butternut detox juice recipe below. It’s a delicious blend of red capsicum bell pepper, butternut squash, and carrots that also uses romaine lettuce as a base. The vibrant orange color is a clear sign of beta carotene and nutrients that it’s filled with. It tastes delicious, but don’t just take my word for it. 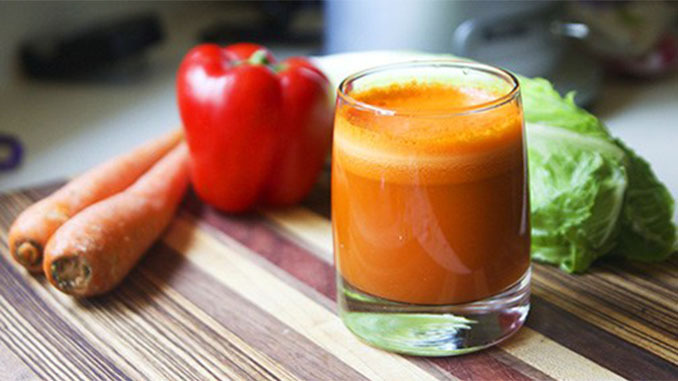 Make this red pepper butternut juice at home to see for yourself. Total prep time for this recipe is only 10 minutes! 1) Wash all fruit and produce first. 2) Next, run all of the ingredients through your juicer. The ingredients above will only make one serving. So, be sure to gather additional ingredients from your local store if you plan to make additional servings which can be stored in your refrigerator.